When was the last time you took a close look at your business's website content? Are you happy with the results you’re getting? Are you even happy about the way your pages look? Whether your site is brand new, under construction, or has been around a while, there’s a lot you can do to make it even better. The more impressive you and your business will be to prospective and current customers. And that ultimately leads to higher conversions and rapid business growth. But where should you start with any overhaul or tweaks to your website content? There are many different pages that a business website can include, but there are four basics that every site MUST have: the Home Page, About Us Page, Start Here Page, and Blog Page. Begin you website review with these pages and make sure you’re happy with them before you move to ones that get fewer visitors or have less of an impact. ….so pay close attention to what you include and say. This isn’t a place to ‘tell it all’, but it is definitely the page that should spark your visitor’s curiosity to explore. A lot of businesses treat their ‘About’ page as a place for stating their resume, general history, experience of employees, and other boring facts. However, this is a grave mistake that can have serious consequences. The About page is often a website's most visited page and the first one that visitors go to on your site. Think about it. You land on a website. It looks interesting but you’re not sure who they are or whether they’re legitimate. So what do you do? Head to their About page! Your Values – does your way of thinking align with theirs? Your credibility – do you have relevant experience and proven success? Who you REALLY are – are you a real person they can relate to and trust? 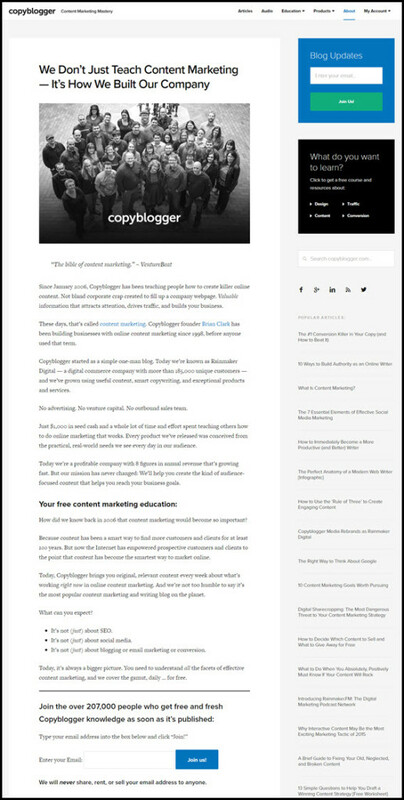 While Copyblogger includes facts and their story, it’s done in a way that puts a human face on their business as well as providing social proof. At the same time, the page starts building the know, like, and trust factor that’s so essential to lasting customer relationships. Treat your About page with care and revisit it frequently to keep it up to date. You won’t see a lot of websites with this page, but it’s an essential one to include for your first-time visitors. It’s the page that lets them know they’re in the right place once they start showing interest, and it gives them some guidance on what to do next. This is especially important if you have a site with a lot of information, or one where people may be arriving at the home page with very different needs. A Start Here page usually says something like, “New to our site?” It acknowledges that the visitor is new, and then suggests which pages they should visit based on their needs. For example, your own Start Here page might say, “Check out our latest blog posts,” and then list a few links to a few popular posts. You might say something like, “Have a look at our catalog” and provide a link to your products page. Think of it as a portal to all of the other pages on your site. The best way to create a Start Here page is to identify the main reasons people come to your site and the first questions they might be asking themselves. Where might they feel overwhelmed? What are they looking for first? What would you like them to look at first that will guide them on a journey through your site? What information is essential for them to understand the rest of your site? These are all the types of questions you need to answer to create your Start Here page to orient your new visitors to your site and make them feel at home. Your blog could be a section of your business website, or a separate website all on it’s own. 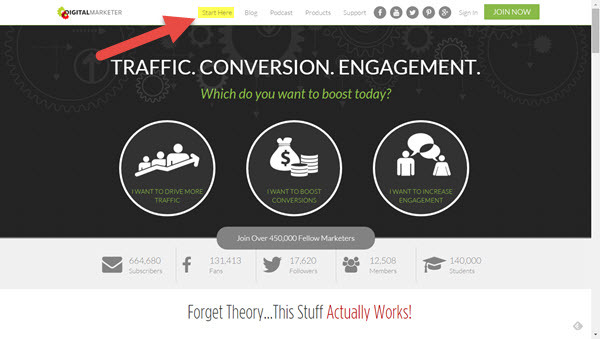 A blog ‘page’ is simply the home page of your blog, where you show your latest posts and other related information. 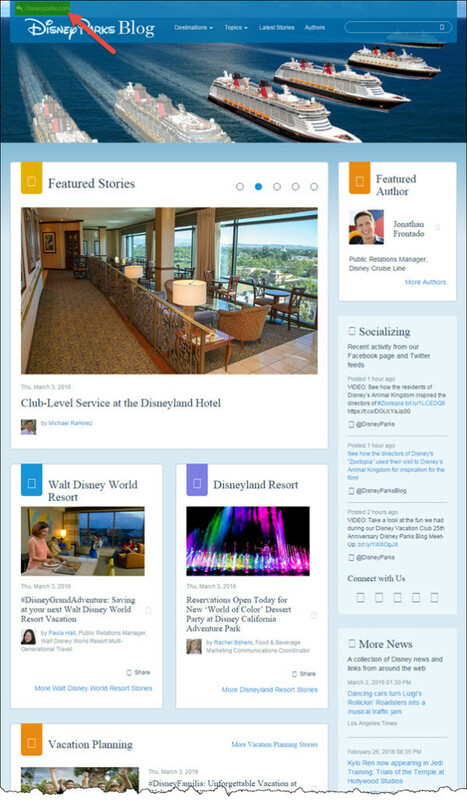 As you can see, the page shows featured stories in the main column, along with activity on their social media and other news about Disney in the right sidebar. And, of course, there’s a link at the top to go back to the main site. Search Results. Search engines, like Google, give preference to sites that are regularly updated with fresh content. 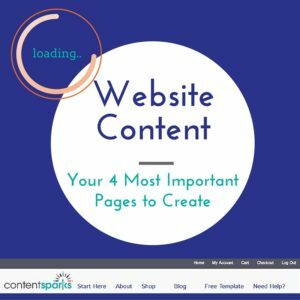 While your Home Page and other pages on your site tend to stay static, you should be frequently adding new content to your blog. Engagement on Site. As you add more and more posts, you’ll be creating a vast library of information for your visitors to spend time reading. The longer they spend on your site, the more they’ll engage, and the more likely they’ll be to buy from you. Relevant Visitor Traffic. When you keep your blog post topics focused on your target audience’s needs, you’ll attract more and more visitors to your site who are your ideal customers. This is especially true if you use commonly searched keywords to help determine what you write. And don't forget to share links to your blog posts on social media and elsewhere! Reputation and Credibility. As your library of content increases and your visitor traffic and time on site increase, you’ll also be building a wider reputation as someone who offers value and can help your market. Use your blog to help your target customers’ solve their biggest problems. In this way, you’ll build your audience’s trust, expand your recognition as a thought leader, and grow your website’s ability to convert visitors to customers. Need a little website inspiration? 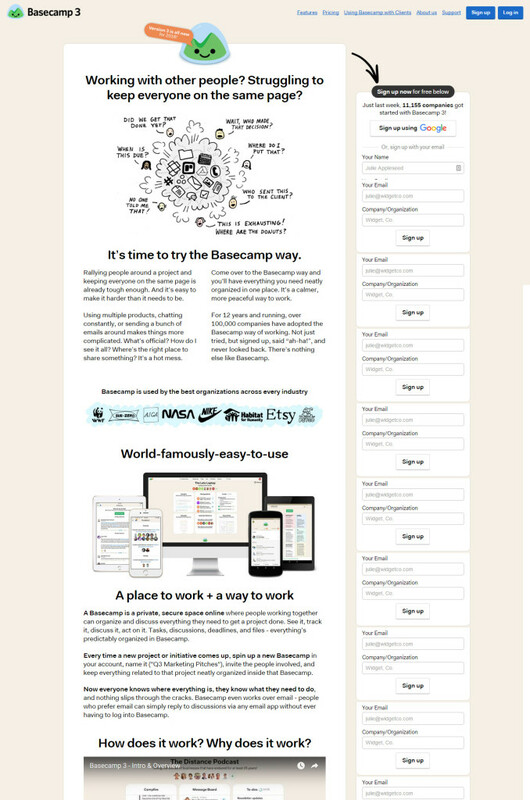 Download our swipe file of 25 Examples of Stand-Out Website Pages. 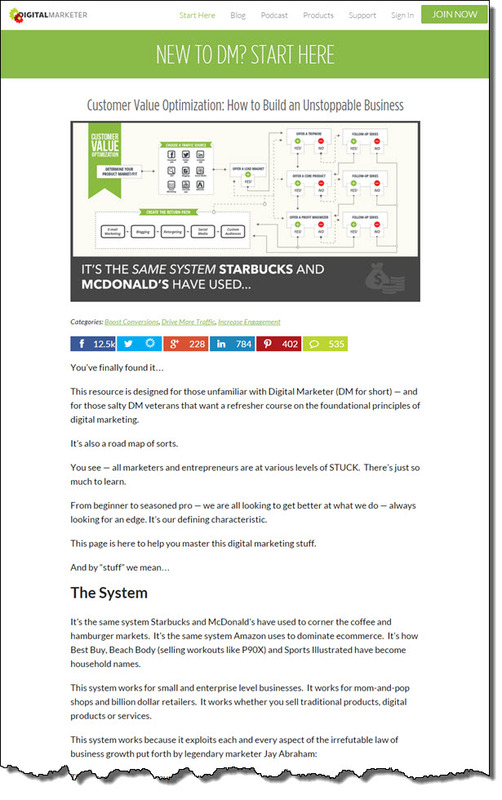 It has links and screenshots of favorite sites for each of the above 4 critical pages. Contact Us. Make it easy for your visitors to contact you with questions and feedback. Products and Services. If you're selling products and services directly through your website, you’ll need a page to describe what you offer, or a whole section of your site with multiple pages. Legal Information. I won’t tell you what to put here since I’m not a lawyer. Just be sure to get advice from someone who’s an expert in the legal requirements for websites. Then add the necessary pages with visible links. Resources. Another potentially valuable page to include is a list of your favorite resources and other tools that would be useful for your visitors. Be the go-to source for the information related to your field of expertise by giving recommendations and demos. What are my visitors looking for on THIS page? What do I want them to do BEFORE they leave the page? Your goal should be to meet the needs they came there for (if they’re your ideal client), and get them to take your desired action before they leave. The action could be something like signing up for a webinar, but it could also be as simple as clicking through to another blog post. Whatever your call to action is, make sure it’s clear and obvious. Don’t make it difficult for people to do what you want. 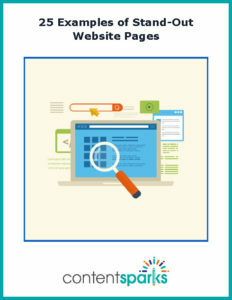 So, what do YOU think are the most important pages for a business website? 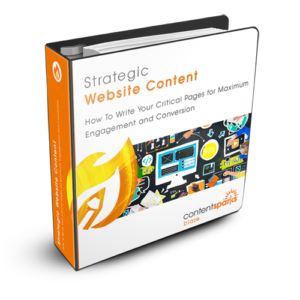 Want to help your customers create website content so that EVERY page achieves their goals? You can use our done-for-you training program and save yourself weeks of time and thousands of dollars. There’s no need to create course content from scratch. Our ready-to-go course on Strategic Website Content includes all the materials you need to teach, deliver, and sell your own program. All you have to do is customize it to your market and add your logo. I prefer Home, About, Contact, Privacy and Terms pages. The idea of “Start Here” page is really new to me. I will definitely try this page in my website. Hi Sharyn, I enjoy your materials and I love your writing! What I teach my students is that there are 7 essential pages that should be on every site: homepage of course, about page naturally, a blog – which is the marketing agent of their on-line presence, contact-us, products and services index come under main field page – for SEO reasons and then connect to relevant products and services pages, but most impirtantly FAQ page and Clients success stories. I loved the idea of start-here (there is a lot to learn from Ryan, no doubt) and I am going to make a pattern to use it the right way. Thank you!